For several years Lloret de Mar has been one of the most popular and thriving holiday destinations in the Costa Brava. Thanks to the incredible range of entertainment and activities, including atmospheric bars and warm, welcoming restaurant venues, holiday makers travel from far and wide to visit this vibrant town. 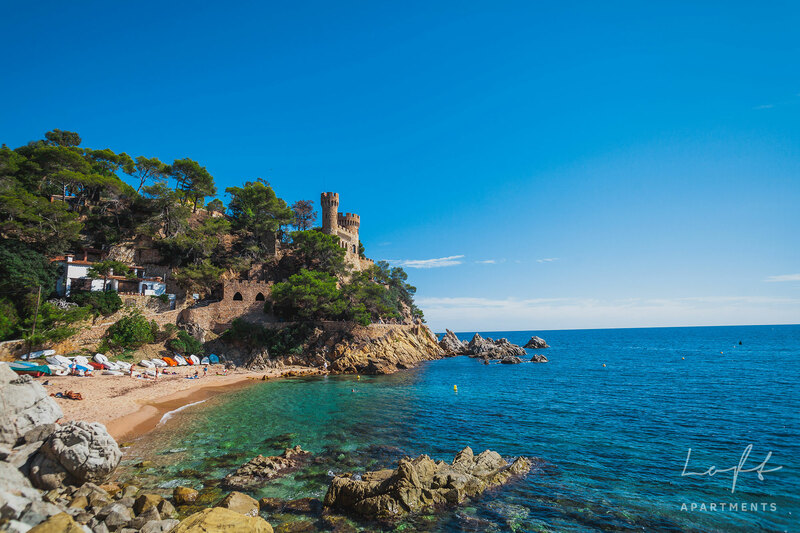 It’s not just the character-filled town centre that makes tourists fall in love with Lloret de Mar, there is also an amazing array of idyllic, golden, sandy beaches to choose from. These Blue Flag bays are the perfect place to unwind in the brilliant sunshine and admire the scenic Mediterranean views. There are too many reasons to count why you should treat yourself to a holiday in Lloret de Mar, but here are our top five. Barcelona is easily accessible from Lloret de Mar. Spain’s second city is an amazing place to visit for some unforgettable sightseeing, excellent shopping and world famous architecture, such as the Sagrada Familia and the Museo Nacional de Catalunya. During your stay, make the most of the easy to use public transport links and short journey to this monumental city. Lloret de Mar’s most iconic landmark is the Church of Sant Roma. This charming chapel dates back to the early 16th century and is a truly ey- catching example of Gothic Catalan architecture, complete with huge altars, many lavishly decorated rooms and towering steeples. Another must-see spot during any holiday to Lloret de Mar is the Castle of Saint Joan, which sits on a rolling green hilltop overlooking the town. This picturesque 11th century fort is popular with artists and photographers from around the world. With the constant Costa Brava sunshine at your beck and call, a trip to the beach at Lloret de Mar is an essential holiday activity. This seafront town offers no less than five main beaches for holiday makers to choose from, each with its own unique beauty and appeal. At an impressive 1 mile long, the main beach of the town, Lloret, is the largest stretch of shore in Lloret De Mar. This is the perfect place for fun-filled, active days out, as a range of water sports, such as scuba diving and windsurfing, are available. If you’re looking for a more laid back seaside experience, Canyelles Bay is a small, sleepy cove shrouded by thick pine trees in the east of Lloret de Mar. As one of the oldest and most popular resorts in the whole of the Mediterranean, it’s no surprise that there is an amazing array of accommodation for tourists to choose from. All-inclusive holidays in Lloret de Mar are especially popular, thanks to economical pricing and the friendly, laid back atmosphere of the resort. In addition, there are plenty of hotels in Lloret de Mar to suit every type of holiday budget; from the comfortable and affordable Els Llorers Apartments, which are situated just a short walk away from the main beach of Lloret de Mar, to Evenia Olympic Park Hotel, which is located next to the world famous Waterworld Lloret and boasts six spacious swimming pools, a first class sports club and stylish guest bedrooms. There are also numerous luxury holiday homes and villas available to rent in the resort.